Go HERE and print $11 worth of Lysol Coupons! 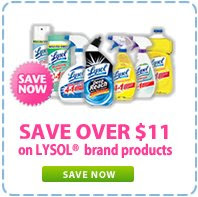 I always find great BOGO deals on Lysol products! be sure to print 2 per computer!